When your dog receives a cancer diagnosis, it’s terrifying. 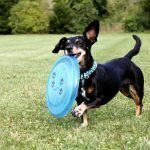 We would give anything to help our dog through it. These natural herbs, supplements, and oils have beneficial elements to support your pet. They’ll help them through this tough journey and keep them fighting against cancer. Our Ginger girl developed a lump on her leg in April 2016, a couple weeks before our big move from Puerto Rico to Alaska. I was pretty terrified. We rushed her to our vet, and he did a biopsy, which came back with no cancerous cells. We were thrilled at first, but it kept growing and growing. Months later, it was diagnosed as soft-tissue sarcoma. Chemotherapy and radiation weren’t options that were available due to where we are located in Alaska. I began to look into alternative cancer treatment options. I did TONS of searches on holistic herbs and supplements to help boost her quality of life. Information was scattered across so many different sites, it was frustrating and overwhelming. In addition, scientific research on the effectiveness of herbal medicine is limited, but this veterinary hospital in Michigan is actively studying it, which is promising. We were fortunate to have extra time with our girl until she was ready to go in June 2017 at 15 years old. Here are some of the herbal supplements I used to help make her last year a wonderful, healthy one! Fish Oil – This has so many perks, including reducing inflammation and and soothing skin allergies. It also aids in helping to reduce weight loss caused by cancer and many traditional cancer treatments, and promote general wellness and immune system support. 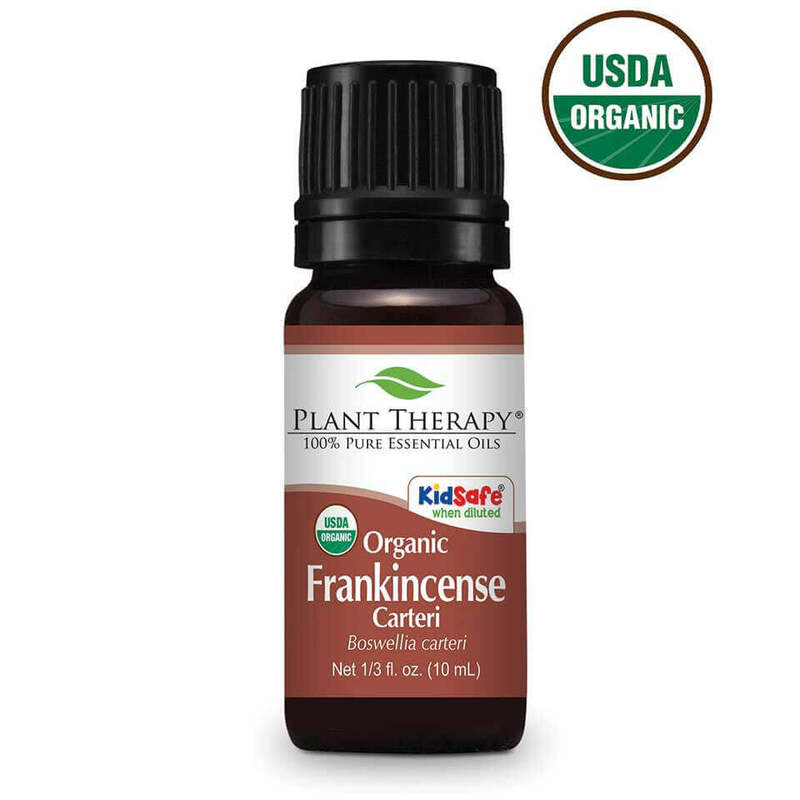 Frankincense Oil – An anti-inflammatory that has been shown to aid in targeting cancer cell death, as well as help inhibit cell growth. It also improves general health and immune system function. 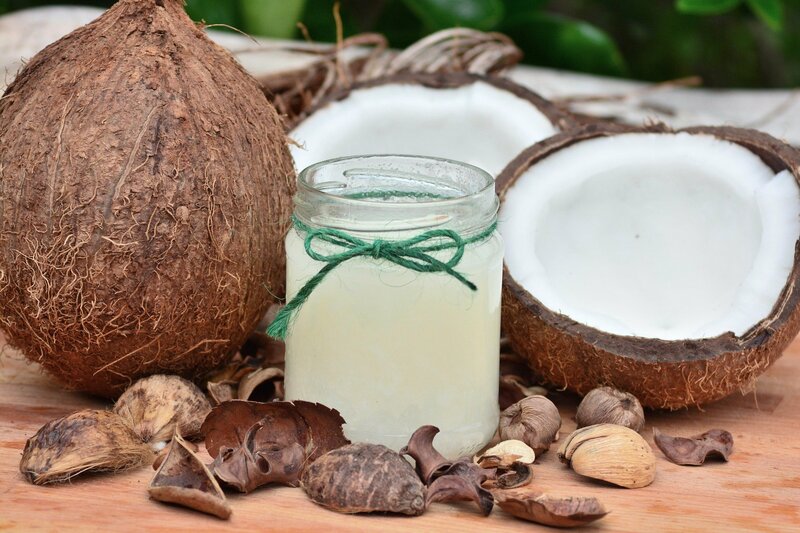 Coconut Oil – Using coconut oil is a great way to boost energy levels and help digestion, especially when upset tummies from prescription medicines can be common. It can also improve their skin and coat and reduce allergic reactions. Simply add a bit to their food and mix it up. You can also add a drop of peppermint oil and use it to brush their teeth! Hemp Oil – Hemp seed oil is an anti-inflammatory oil that contains a perfect blend of Omega oils. It only contains traces of THC, so your dog won’t get high, but will get the benefits of the oil. Read more about how great hemp oil is here. 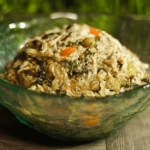 Fucoidan – This is a type of seaweed and has a ton of great perks! It possesses antiviral and anti-inflammatory properties, and has been shown to fight cancer by minimizing tumors. Artemisinin – This is a compound from the sweet wormwood plant. It is drawn to cancer cells because of the iron levels inside them, and works to kill those cells. Steer clear if your dog is undergoing radiation, though, as that causes iron levels to spread. 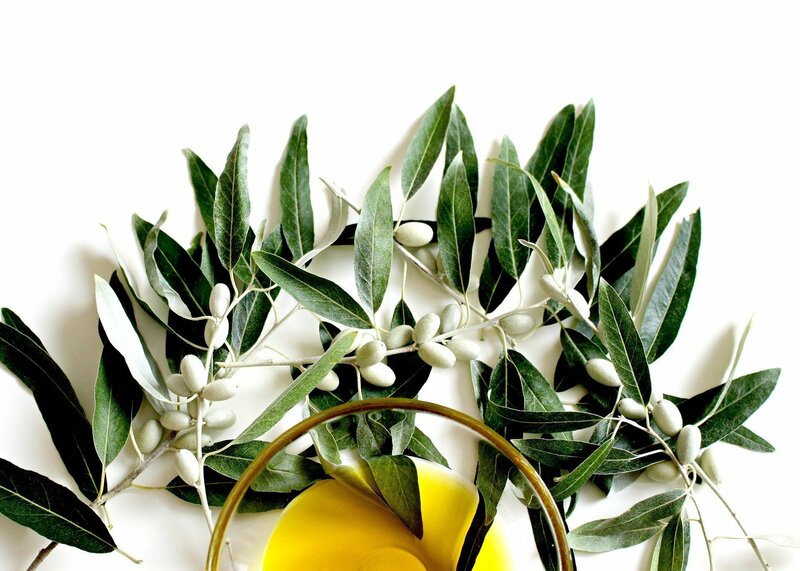 Olive leaf extract – Olive leaf extract has both antiviral and antibacterial effects; it may also be effective against various yeast infections. 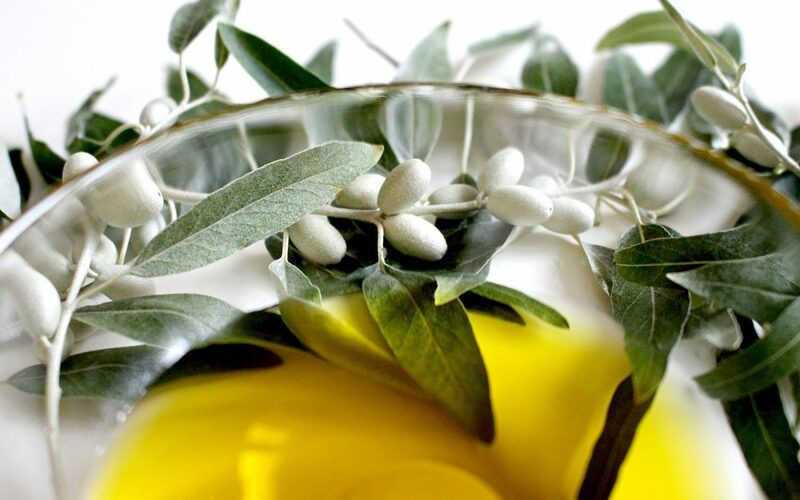 The antioxidant properties in olive leaf extract can be helpful for inflammatory conditions such as osteoarthritis and allergic dermatitis, as well as for cancer prevention/reduction. Astralagus root – Astralagus is an herb helps regulate blood pressure and blood sugar, and supports the endocrine system and thyroid. It’s also been shown to have a beneficial effect when fighting cancer. Turkey Tail Mushroom – This has been used in Chinese medicine for over 2,000 years. It has naturally occurring antioxidants that vastly improve the immune system, and has been shown to have a positive effect against cancer cells. 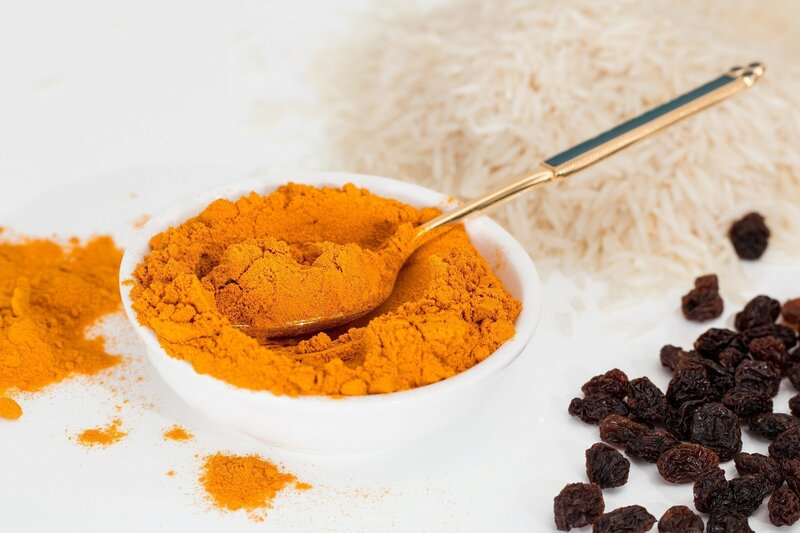 Turmeric/Curcumin – Turmeric, also called curcumin, is an anti-inflammatory. It has shown the ability to target and kill cancer cells, as well as inhibit their growth and ability to spread. It can have a blood-thinning effect, so taper off before any surgeries. 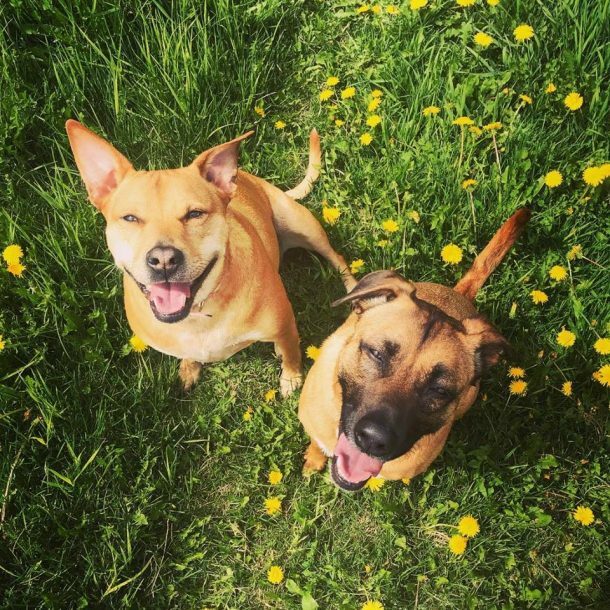 CBD oil is another great option for dogs fighting cancer. It helps ease anxiety, which can build up with frequent vet visits. It also helps boost the immune system, and eases pain. We really like King Kanine CBD oil, as it is made with high quality krill oil. Learn more about the benefits of CBD oil here, or hit the button below to shop. Now, I know this looks like A LOT, and I certainly don’t recommend filling your pup with all of these at the same time. I suggest taking this list to your vet to determine which supplements would be best to start with, and to determine dosage levels for your pet. Oils can be mixed into food, and capsule pills can be placed/hidden within their normal food for many dogs. They can be given wrapped in a treat such as cheese or meat for pickier dogs. Are you surprised to learn of some of these benefits? If your dog is fighting cancer, share their story below! I have heard of Tumeric as a medicine before now and our cats have fish oil in their diet so I am pleased to see it here. We need to consider natural remedies more, like the Chinese do. Their medicine is more holistic nurturing the body as a whole not a specific condition. Their approach is definitely different. I completely agree about treating the body as a whole! At the first vet we took Ginger to after our move, they were basically just throwing medicines and a surgery at her, and then more medicines to help with symptoms from the other meds! It was getting pretty crazy. Luckily our second vet was much better and more supportive, and Ginger’s health improved considerably. Another good one is Noni Juice, you can often get this at health food stores (from the Noni berry). Some of the holistic vets I interviewed for my “natural healing” book highly recommended it. Hope your doggy continues to do well! What a fantastic informative post, thank you. Layla gets Hemp hearts and turmeric in her food daily, I keep CBD oil for emergencies and I also add honey to her food. So I feel with her aging at this moment I am covering everything but the list you gave is an amazing eye opener. Thank you! It sounds like you’re doing wonderful things to help make aging as easy as possible for Layla! 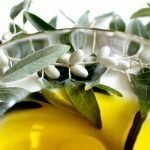 I have been using coconut oil and frankincense as a mixture to prevent bad breath … I had no idea it was also good as a cancer treatment aid. I use that too for toothpaste! It’s great and so effective! Excellent information here. I’m not that familiar with supplements, but I know they can be great for a whole host of things in addition to cancer. Ginger looks like she was a happy pup! Thank you! She was definitely the best pup ever and so happy and tough. 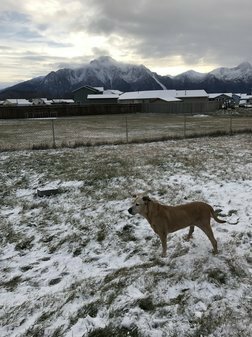 She was 14 when her leg was amputated, and the photo in front of the mountain was less than 24 hours after surgery and she was already eating and hopping around. She was amazing! This is a wonderful list. Some things I haven’t heard of before and some I have. I remember when my cat Dusty had cancer I was giving her tumeric in her food to help fight cancer and inflammation. Although she lost her battle due to the location of the tumor it didn’t spread but just too aggressive. 🙁 I’ve also heard of essiac tea for fighting cancer too. And I have frankincense oil but never knew it fights cancer too! Amazing how so many NATURAL herbs from the earth fight ailments we don’t even know about! I just love you for this! First, BOOKMARKING although I hope I never need it. Second YES to these alternative treatments. Making a pet comfortable is so vital to us and them when they are sick. I love natural medicine and respect science medicine – room for both in my book! 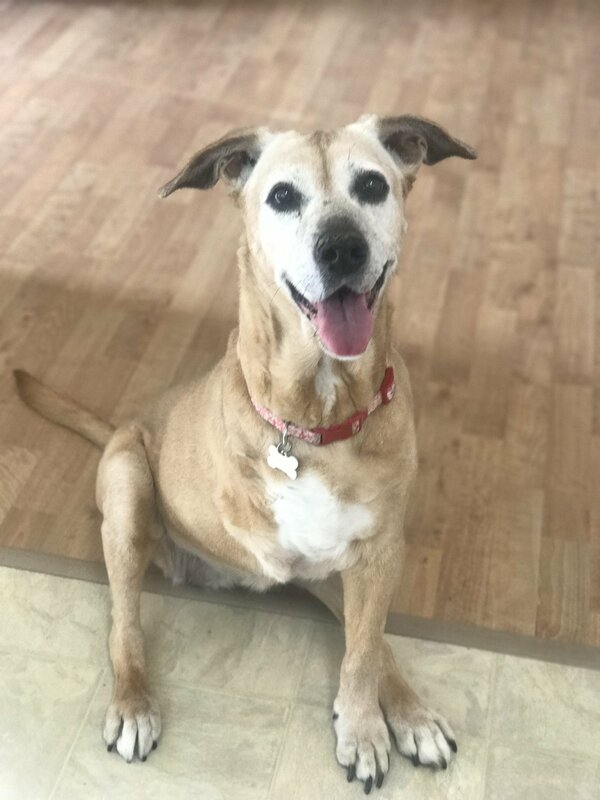 You did a wonderful job doing your research and making sure Ginger had the best of life! Thank you!! I’m all about partnering with a great vet and addressing health issues from as many helpful angles as possible. Turmeric is new to me – I literally learned about its benefits on a chat just prior to reading this. It’s so great! I’ve seen recipes for a Golden Paste with turmeric and coconut oil that I’ve been wanting to make and post about. Ever heard about Apocaps? I’d recommend looking into that. Definitely one I’d consider. Yes!! I had briefly seen a recommendation for Apocaps when Ginger was having surgery and never looked further into them. Thanks for the reminder! So sorry to hear about Ginger. It is great that you managed to help your dog with alternative medicine! I have to show this to my friend whose dog just got over from cancer. Very informative. Have you ever read the Dog Cancer Survival Book or Preventing and Treating Cancer in Dogs? Both are great at discussing alternative methods for treating cancer with a lot of information about the supplements you mention. The author of the Dog Cancer Survival Book also sells Apocaps, which has many supplements rolled into one. Jana above also mentions Apocaps, although I have not needed to use them since I learned about them. I’m so glad you had fifteen years with your beautiful girl. I can tell she had a happy, positive spirit – it shines through her eyes and is obvious from the expression on her face in the photo. This list is a great resource. Sharing – thank you.